Nicaraguan food is more than rice and beans. 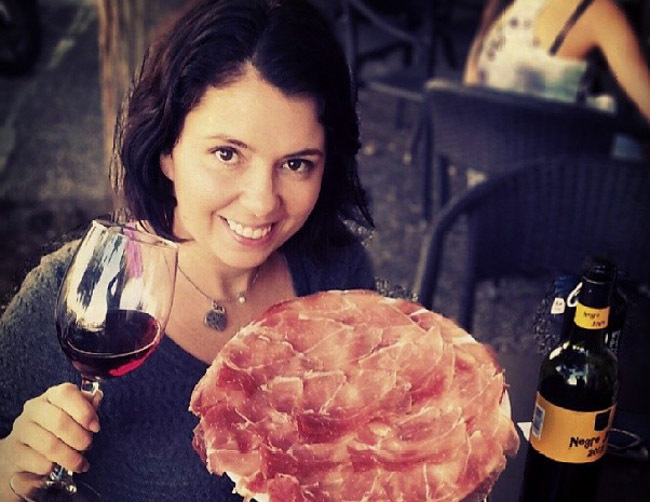 Nicaragua is a country that has a wonderful variety in its cuisine. While some dishes that are found throughout the country, there are also some great regional dishes that are worth seeking out too. Particularly in the coastal regions of the country, there is a distinct Caribbean influence in many of the dishes. There is a great emphasis on making use of the local ingredients that are commonly available here, especially coconut. Nicaraguan food was unexpectedly good and yet different from other Central American countries. Immediately I noticed that refried beans were replaced with gallo pinto, and cabbage and yucca were much more prevalent. 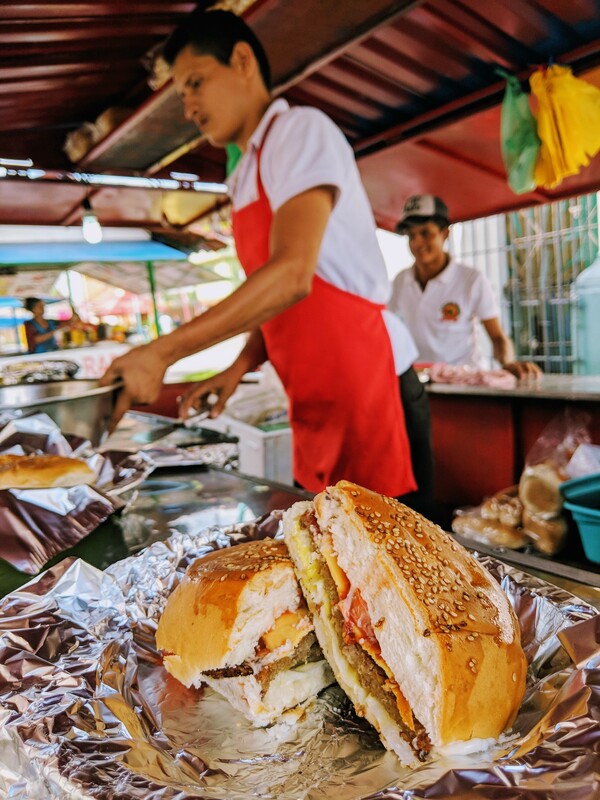 Although McDonalds and other American fast food chains exist in some towns, locals are still eating traditional Nicaraguan food and it’s inexpensive and easy to find. If you are planning a trip to Nicaragua, then here are some of the great foods and drinks that you should seek out to get an authentic taste of the country. Tamales are a famous part of Mexican cuisine, but this version is found in Nicaragua and Honduras, and is made with a corn dough, then stuffed with pork, potato, pepper, tomatoes and onion, along with distinctive seasoning. 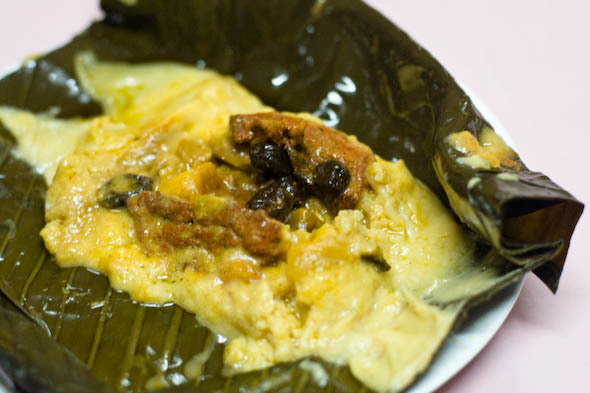 They are corn-based like Mexican tamales but they are not homogeneous as each bite may contain a number of ingredients from green peppers to olives, raisins and chiles. I was excited to see the Nicaraguan take on tamales, I previously dedicated an entire post about them. 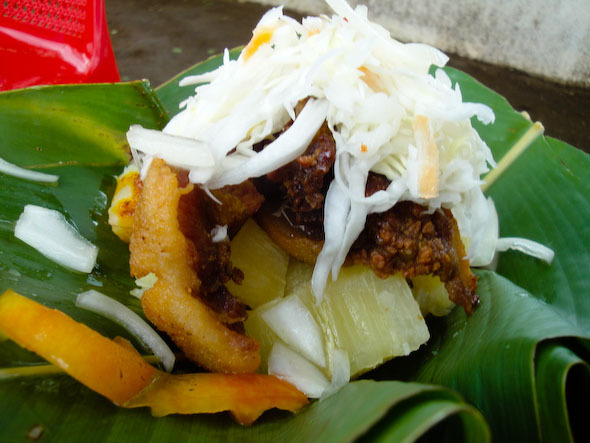 This Nicaraguan food originated in the Matagalpa region in the north of the country. It is a type of tortilla that is made with young corn, and it has a sweet and thick dough that is cooked in banana leaves and then served with the local crumbly white cheese. Plantains are common in this part of Central America. Tajadas are simply slices of plantain that are cut either horizontally or vertically and fried. This Nicaraguan food can either be served with a little white cheese as a snack, or can be a side dish in the main meal. They are often sweet in Nicaragua. Very similar to tajadas, tostones are usually prepared with plantains that are not yet ripe. Theses green plantainscan be sliced or pounded before they are deep fried, and have a more savory tasty than the sweeter tajadas. 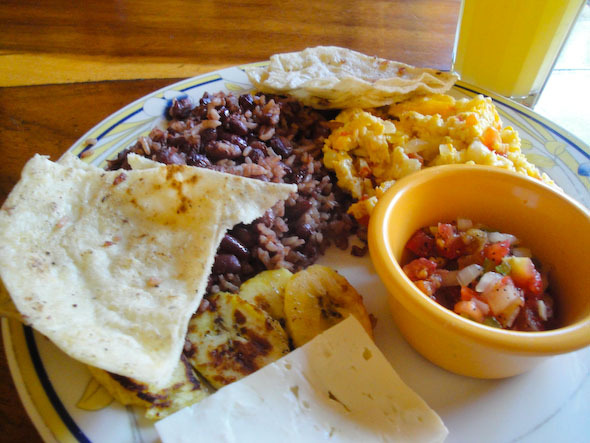 A mixture of rice and beans (appearing above in breakfast), most Nicaraguans eat this almost daily and it is considered a national symbol. It’s delicious but I ate this so often that after a few weeks I asked if I could have my rice and beans “separado” for some variety. Usually eaten as a Sunday meal, vaho is made with beef, plantains and yuca chunks. It is cooked in banana leaves, and topped with a fresh salad of cabbage and tomato. With a Caribbean coast and a Pacific coast, seafood plays an important role in much of the country. Rondon is a stew that is prepared with a variety of different fish, along with peppers and vegetables that are cooked in a spicy stock prepared with coconut milk for a creamy sauce. Originally from Granada, you can find this everywhere from street vendors to house parties. 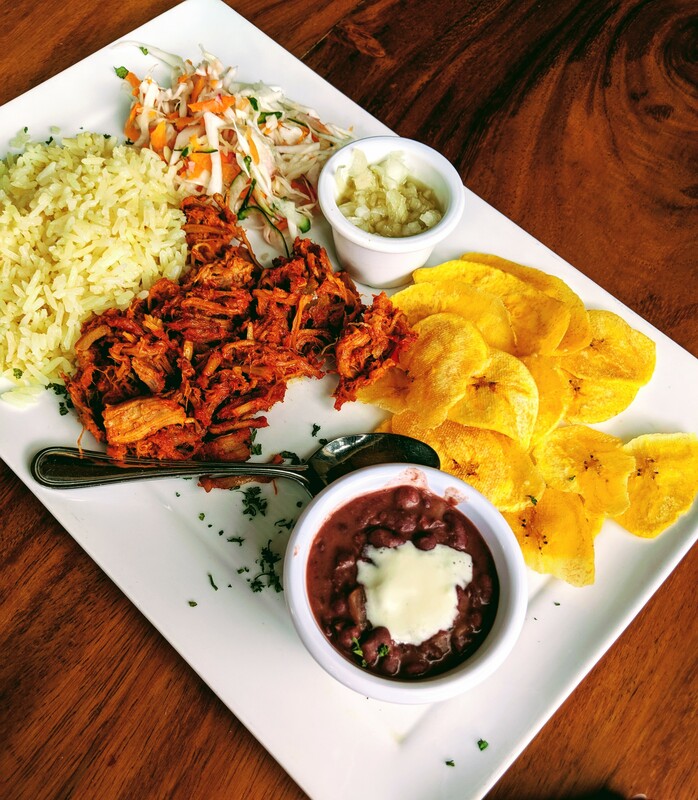 Traditionally a plate is covered with a part of a plantain tree leaf, then topped with yucca, pork, topped chicharrón (fried) and a salad of cabbage and tomato salad. Although I’m a pork lover and pork on pork sounds amazing, I have to admit I don’t really like chicharrón as it seems too salty and crunchy. Combining a grilled piece of meat, usually skirt steak, with a green chimichurri sauce made with parsley, garlic, oregano and white vinegar. This is very tasty and popular dish for visitors and locals alike. Hardly unique to Nicaragua, but they do make a mean hamburger and for a dollar its hard to pass one up on the streets of Leon. Oscar insisted there was only one good place to eat them, which was actual steak as the ground beef ones are often mixed with filler; but whatever that filler is, it’s tasty. This dish is believed to have originated among the indigenous population of the region. It is made with sour oranges, tomato, pepper and achiote which creates a thick meat stew with a tasty sauce. Found in most former Spanish colonies, this Nicaraguan food was originally brought over from Spain as a way of utilizing meat offal. It is a rich stew made with tripe, cassava and sour orange, while it is often served with avocado and a tortilla. Originally from León, it’s a simple dish but so tasty that restaurants are dedicated to selling only quesillos. They say that the best are found on the highway between Managua and Leon, but I had them and did not notice a difference from those sold on the street in Leon. 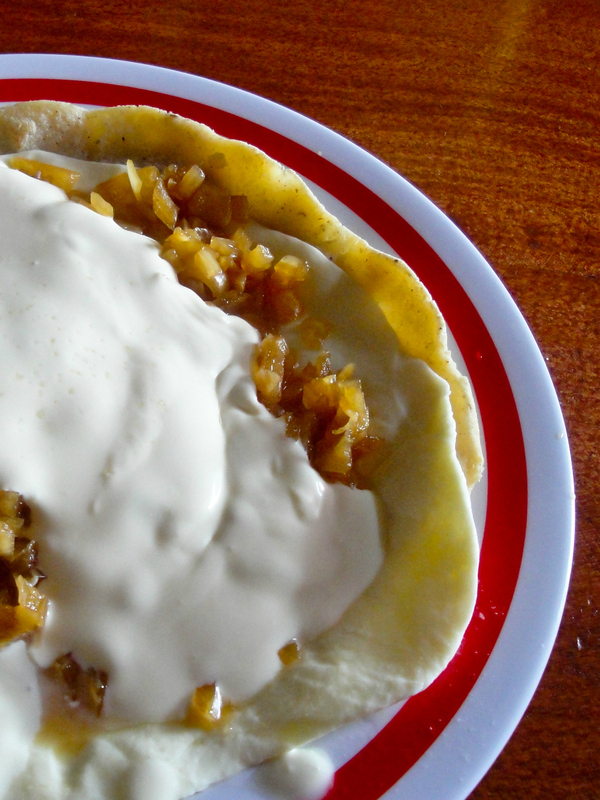 A piece of cheese (which is named quesillo) is placed on a tortilla. Pickled onions, cream and salt are added to the top. My advice would be to ask for “poco crema” as they are unnecessarily generous with the cream. You can also get these rolled up and in a plastic bag, as we did for my 33rd birthday, a nice added touch was the chile sauce our vendor added which cut the excess cream flavour. Rosquilla are lovely little sweet snacks that are made with masa flour. These little donuts are made with the local cheese queso seco added to the dough. They are baked twice to give them a crunch, and they are excellent for dipping in the wonderful local coffee. A popular fast food that is essentially marinated meat on a stick. Carne pinchada is usually prepared in both beef and chicken varieties, and is marinated in a beer or wine sauce. It is an indulgent treat, particularly during festivities and popular events. A healthy Nicaraguan dish made with diced lean beef, onions and peppers. This mish-mash of meat and vegetables is given a generous squeeze of lime juice for a hint of citrus. It is usually prepared alongside white rice and kidney beans. This is one of the great dishes of Latin America, and in Nicaragua it is prepared with strips of beef that are cooked on the grill. It is often at the heart of outdoor family meals and events in the country. Only found on the Caribbean coast of Nicaragua. This unique drink is made by boiling and mashing plantains, and combining the pulp with coconut water and a little sugar to make for a fresh and delicious drink. This is a traditional Nicaraguan drink that is made with sweetened cornmeal and cacao. Pinolillo can be prepared fresh, but is most commonly purchased as a powder, which is then mixed with either milk or water. Without sweetener many people trying it for the first time will find that the taste is quite bitter. Although in Cuba they swear Cuban drinks are the best because of local rum, Nicaraguans would disagree. 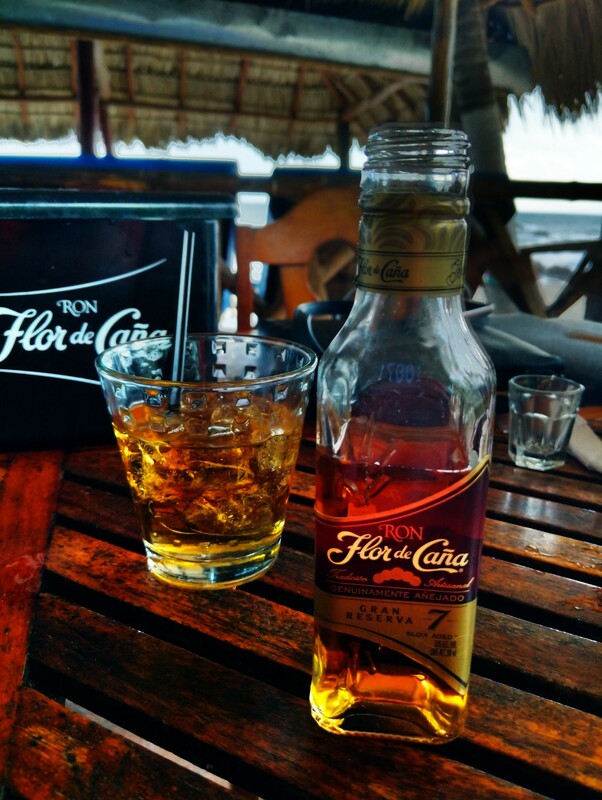 Nicaraguan Flor de Caña, which has been around since 1890, is known as some of the best rum in the world. One of the most popular beers in the country, it’s a simple easy drinking golden lager. Spanish speaking countries often have adopted the former colonial power’s love of custard as a dessert,. Here in Nicaragua, atolillo is the local variety, where eggs, milk and sugar are combined with cornstarch, and then flavored with cinnamon and vanilla for a simple and delicious dessert. This is a dessert that is found in many areas of Latin America. The Nicaraguan version is a traditional recipe, similar to flan in Cuba. Made with condensed milk, evaporated milk and whipped cream. This Nicaraguan food is great for dairy lovers, and makes for a very sweet and moist cake. Corn is one of the key ingredients in Nicaraguan food. This corn bread is sweet and moist. It often has a hint of cinnamon included in the dough. A traditional Nicaraguan dessert that is a favorite with children and adults alike. It is made with coconut and yuca that is sweetened and thickened with dulce. It is formed into balls and cooked and then covered with grated coconut or sweet wafer crumbs. Loved this! We had quesillos at the rodeo, and I couldn’t remember what was in ’em for the life of me. Looks like Leon had excellent food. Will have to make it there someday! YUM!!! I have a friend who lived in SJDS for a few months, I’ll have to mention these to her and see what she says! You are really pushing Central/South America up on my list of places to travel next! Where may I ask you Jeremy do you have ‘good’ Nicaraguan Restaurant? In The U.S. of A.? I Love All Good Quality, Healthy Food From Mexico To The South-Tip of Chili. *I’m sure I am like yourself, you like, Love, and appreciate all the quality foods of any Cultures around the world!! I’m so hungry now haha! Gosh I love yucca soooo much. My stomach is growling and all I want to do is eat all of this right now! I would first head straight for that Quesillo. Great food pictures! this stuff looks simply DELICIOUS! love yucca too. you forgot the bright pink nicaraguan hot dog. Meh, the hot dog was amusing but not that delicious. I’m missing Central American food like none-other…..
Killer food list. You hit on some of my favorites. personally, I would remove the burgers and include the “tacos de la salle” in leon. some of the best and cheapest dining options available. Zach, you are absolutely right. I lived down the street from the ones on the corner of Ruben Dario, they were cheap and amazing. What??? I quesillos were my favourite! The beans are sooo good. Gallo pinto is one of the few things I enjoyed in the two days I spent in Costa Rica as well , the addition green onion is fantastic. Nicaragua seems to have very delicious and interesting dishes. I would especially want to try a quesillo if I visit there. I lived in Nicaragua for 2 years. I love the place! It seems you got a pretty well-rounded experience as far as the food goes. If you ever go back there, you should try indio viejo, it’s a fantastic dish made from corn masa. Cajeta de Leche is a fantastic dessert as well that you can find from vendors in the street. Quesillos are best in my opinion in Chontales or Nagarote, but they’re fairly tasty all around the country. Wish I could go back there, it’s a wonderful place! Reading this actually makes me want to eat rice and beans again….never thought I would say that! My fav were quesillos – yum! I can’t wait for the food. Thanks for the suggestions. My Nicaragua foods is very mixed central american with a touch of caribean food, very interesting. Looks yummy! They said most people in Nicaragua eat Gallo Pinto almost daily and it is considered a national symbol. It is composed of a mixture of fried rice with onion and sweet pepper, red beans boiled with garlic. They are mixed and fried altogether. Great post! I learned something new again! Keep it up!